How is the new year treating you? Freshness and positivity always bring hope, isn't it? I recently attended a friends daughter's sweet sixteen birthday party. Sweet sixteen is beginning of adulthood. The energy and hope of sweet sixteen is unmatched. Sweet sixteen is a year of dream and aspiration. When I look back to my sweet sixteen, I was always dreaming about writing. Probably that dream of mine became reality today. Doing something you like has more love than anything else. Here is my outfit post for the sweet sixteen. 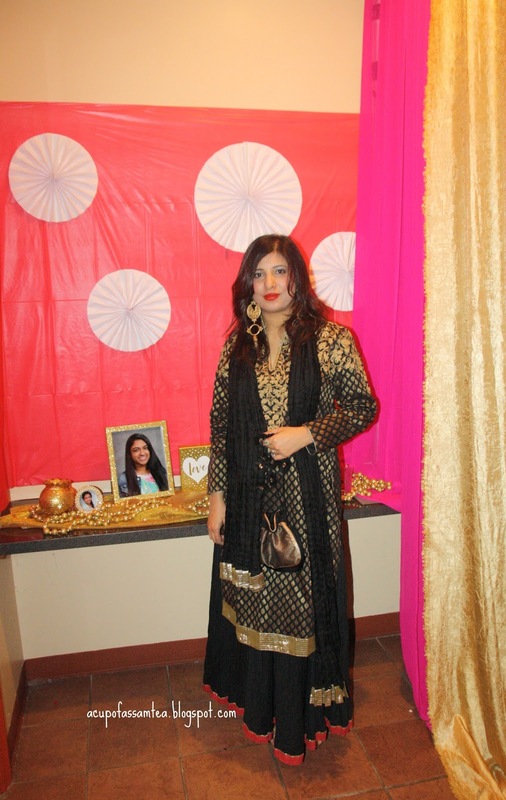 It was an Indian theme party, so I wore Indian Rohit Bal dress. It came with a legging but I switched it with a black skirt I already own. I wore red lips and added a brocade potli bag. 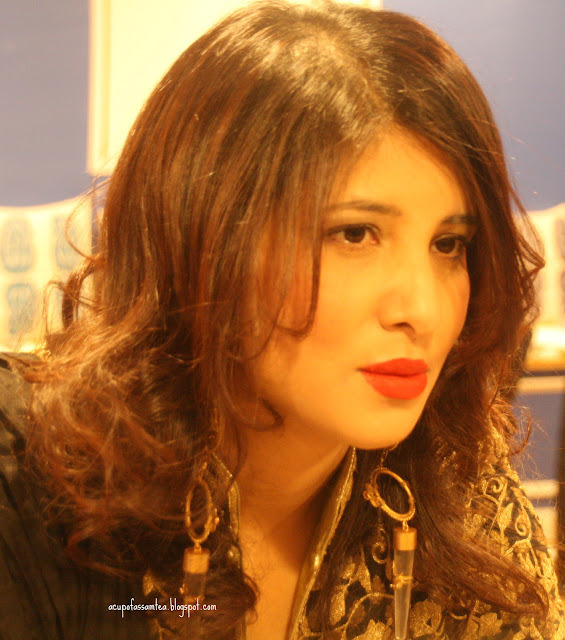 Just to give the whole traditional affair a modern touch, I wore a pair of Suhani Petit earrings. Do let me know how you like it. Love your outfit. Switching the leggings for a skirt is such a great idea!!! Your outfit perfectly complements Indian theme. And you have well matched with your earrings and traditional bag. Time flies so fast, I feel like my sweet 16 was just there and it was already 13 years ago! Beautiful outfit to the Indian theme! So nice you do what you always wanted to do! You are so beautiful and your style is gorgeous! I remember my sweet sixteen, such a wonderful time. Whenever I hear sweet sixteen, I think of that tv show on mtv with those super extravagant parties. I know not all parties are like that though. Your dress looks great! You are so beautiful in your lovely outfit. I also remember my sweet sixteen moments and I really miss it. Your outfit is amazing and the earrings are definitely the perfect added touch. Sounds like a fun evening! I love your outfit! My New Year is OK so far it's had lots of downs but I am trying to stay positive things can only get better! That is a beautiful outfit, I love it! I am absolutely terrified for my daughter to be 16 but I know it's coming lol. 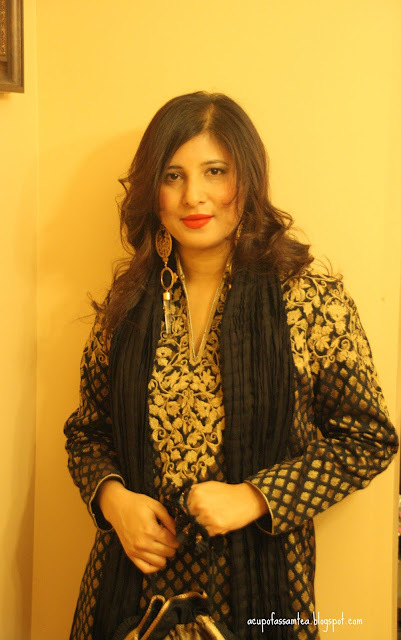 Beautiful outfit - black and gold have always gone so nicely together especially in indian outfits. They give off such a regal and elegant appearance! I don't know much about Indian outfits but your outfit looks pretty especially when you paired it with that gorgeous earrings. You look cute for going to the sweet sixteen. I am actually going to be turning sweet 16 x 2 in Feb! I went to a sweet sixteen once years ago. Nice theme!!! My daughter will be celebrating her sweet sixteen this year and I so look forward to it. Your outfit and accessories are perfect for the occasion. Nice attempt with the photos! Nice dress and make up~ You should post them and make them bigger... happy 2018! I love your outfit and you are beautiful. Thanks for posting. A beautiful outfit, perfect for a sweet-sixteen and any celebration. Gorgeous outfit! this article made me think about being 16 and how much I have learnt since then! Glad you enjoyed the celebrations! Love this outfit - and you always look gorgeous! I wish I could go back and do 16 all over again with everything I know now!! I love your Kurta!! I miss Indian Wear so much here in Europe!!! Love your earrings! Hope it was a great party!